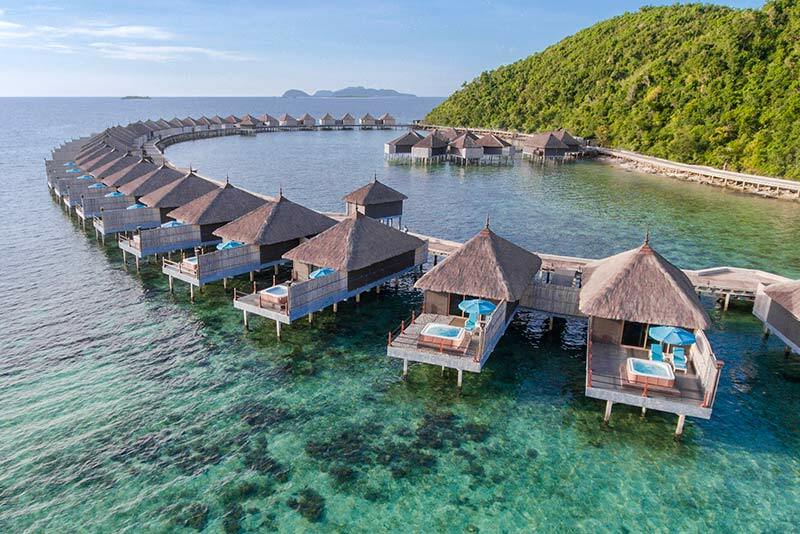 Rising on stilts above Huma Island Resort & Spa’s coral banks, our 64 Water Villas offer stunning vistas of the cerulean sea. 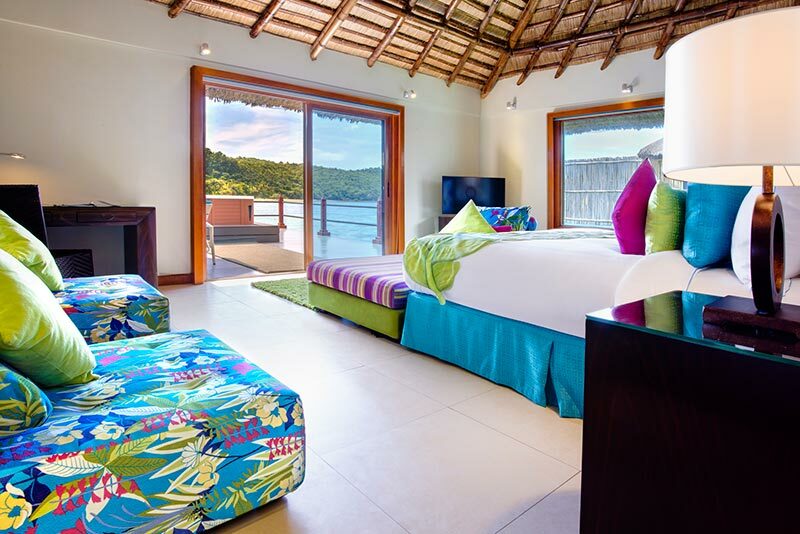 Each of these thatched roof guestrooms has a private sun deck with outdoor tub and shower. 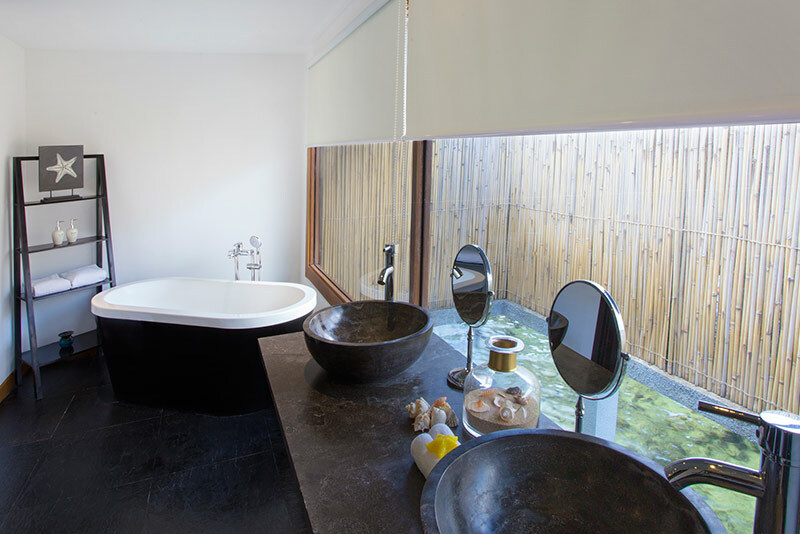 It also features a sweeping window strategically positioned by the sink providing a scenic refreshment. 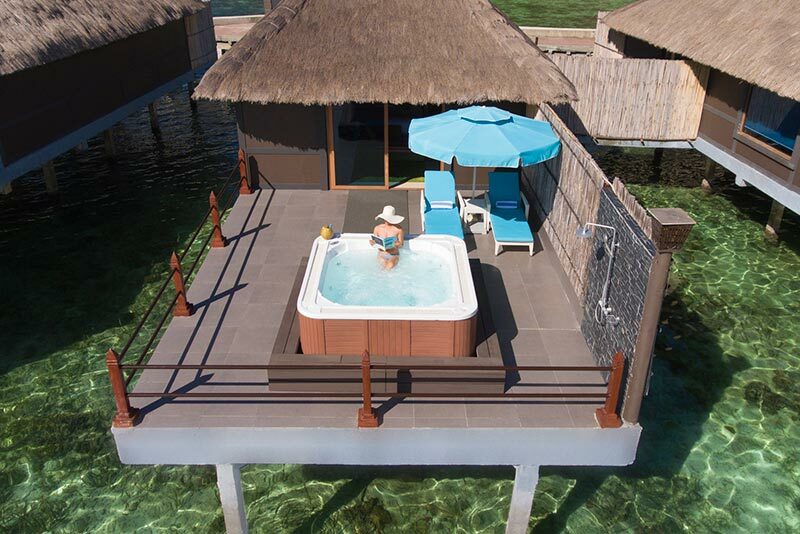 With a total floor space of 102 sqm, the Water Villas of our island resort in Palawan are made for a romantic hideaway and a picturesque honeymoon retreat.